﻿﻿Layla Chan was born and raised in Los Angeles, California. Her love for makeup and skincare began when she was a little girl, watching her mother spending countless hours in the restroom caring for her skin. She always loved playing with makeup and helpin﻿g her friends look their best. As she learned different skills and techniques, she realized her passion and thus began her journey to become the best esthetician and makeup artist she can be. Layla is extremely detailed and a perfectionist when it comes to a flawless face. She takes pride and really cares about all of her client's skin concerns and cosmetics needs. Layla believes in using the finest quality Eyelash Extensions, Skincare and Cosmetics. These high-end products are formulated from the simplest ingredients infused with antioxidants, minerals, vitamins that enhance your true beauty and nourish your skin even after the makeup is gone. After enjoying a relaxing and skin healing facial, she can sugges﻿t a custom color matching for liquid foundations, mineral powder foundations, blushes and bronzers ensuring complexion perfection. Formulated to complement any skin tones flawlessly for a truly signature youthful appearance. 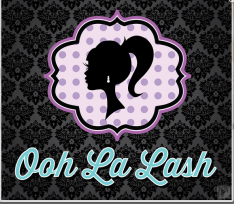 Ooh La Lash was established with a goal in mind, to help men and woman look and feel their best, using the best skincare and makeup available in the market. Layla truly cares and is here to help with any skin concerns or makeup questions you may have. Parking is available on Boston Ct and behind the salon. Additional parking is located in the lot on Boston Ct.